Are you looking for experienced oxygen sensor repair specialist in Arizona? Whether you drive a Lexus, Bentley, Maserati, Land Rover, BMW, Mercedes-Benz or Porsche, it’s important to see an experienced car repair service shop that provides top-notch repairs for your high-end vehicle at an affordable price. Car manufacturers add oxygen sensors to manage engine operation. Most of the high-performance engines feature this device for every cylinder and catalytic converter. These sensors are located underneath a car or under the hood. The upstream devices measure oxygen levels in the exhaust system while the downstream sensors measure the oxygen content in the exhaust gases. Therefore, when these small devices are faulty, your car may fail the emission tests and result in catalytic converter damages. Contact our iAUTOHAUS dealership in Arizona today for routine system maintenance services. Schedule oxygen sensor repair services for your luxury vehicle in Arizona with iAUTOHAUS today! Normal aging process may result in the failure of your automobile sensors. Nonetheless, the devices may fail when contaminated by phosphorus from excessive oil, lead in gasoline, or silicone from internal coolants. Mechanical stress, road splash, mishandling, oil, salt, and dirt can also cause malfunctioning. A bad sensor prevents car onboard system from implementing the essential air/fuel corrections. This occurrence results in excessive gas emissions and high fuel consumption. A further consequence is an extensive damage to catalytic converters. The converter becomes hotter than normal. If it becomes excessively hot, its catalytic substrate melts forming a partial or whole blockage. Also, a drastic drop in the levels of highway performance and stalling due to backpressure buildup in the exhaust system may occur. Replacing a faulty oxygen sensor can be done without involving your mechanic. When malfunctioning is determined, the sensor is replaced instantly. Faulty oxygen sensor repair cost depends on the type of car and the labor cost. Don’t wait until you find a noticeable driveability problem to check or replace your oxygen sensors. Take your car for routine emission tests to detect any issues early. Additionally, consider monitoring the oxygen sensor performance by reading its output voltage. Through this reading, you can ensure that the sensor’s output corresponds to the engine’s air/fuel mixture. After replacement, we will check that all electrical connections and ensure that all replacements are functioning optimally. Clear all diagnostic codes in the car and take it for a test drive. 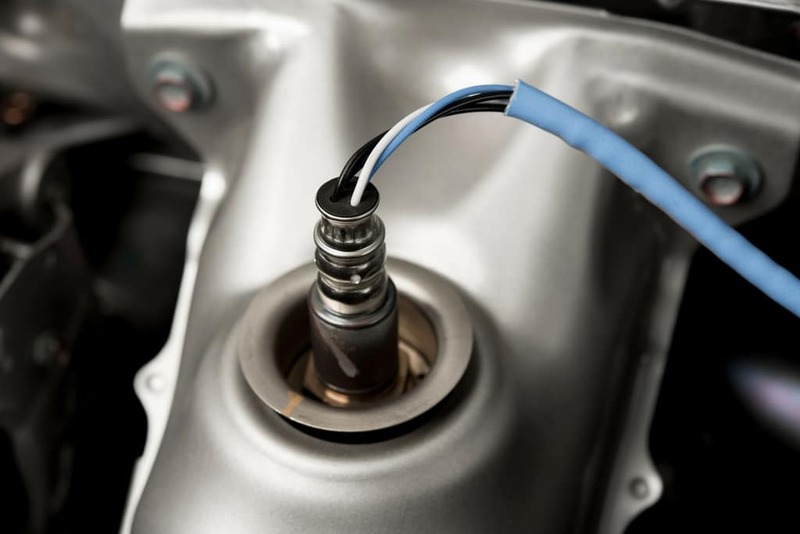 Oxygen sensors are small devices yet determine the efficiency and reliability of any car. If you don’t check them regularly, you are bound to incur large expenses in repairing and replacing various engine components affected by the sensors’ malfunctioning. 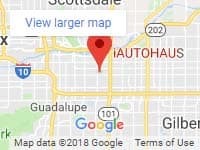 For the best routine automobile oxygen sensor maintenance and replacement services in the entire Tempe, Arizona region, contact iAUTOHAUS today. We offer state of the art vehicle parts, repair, and maintenance with a reputable unmatched track record. Give us a call today at 480-317-0777.